Large Home in "Beverly Hills of San Felipe"
Garage: Double, Attached "440 sq. 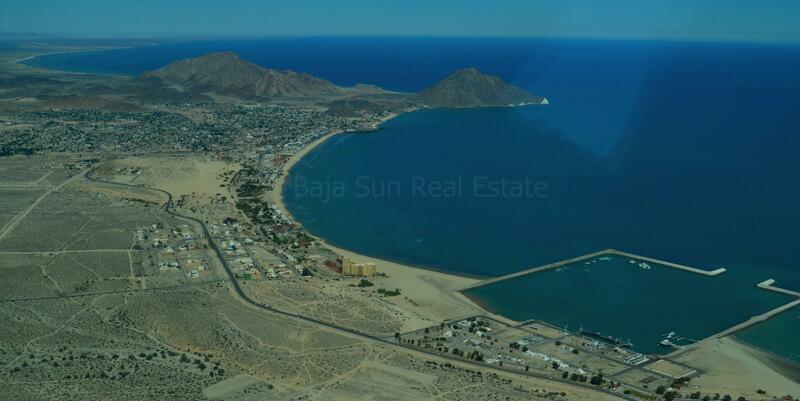 ft. "
New Price!...Be part of the community known as "The Beverly Hills of San Felipe" on Puerto de La Paz in Los Medanos North II. Enter into a comfortable living space with oversized windows allowing natural sunlight and the ability to take in the unobstructed Sea of Cortez views, which flows into the dining area and kitchen. There is space for dual recliners near the fireplace, dining table, and bench seating as well as bar seats at the kitchen island. Here you will find beautiful granite counter tops and complimenting glass tile backsplash throughout, plentiful cabinet space plus pantry. For extended gatherings the 700 sq. ft. party room is furnished and equipped with a wine refrigerator, gas range, and double sink. Doors lead you out to the trellis-topped rear patio, extensively landscaped backyard, and stairs to the rooftop deck, here is where you will find breathtaking panoramic views that can't be beat! The office and potential 3rd bedroom sit at the front of the house near the entry while the bedrooms are down the hallway. The guests will be perfectly comfortable in their east facing bedroom which features a granite topped vanity and situated opposite is the Master Suite. A sizable closet is complimented by a mirror and dresser vanity plus armoire. The Master En suite is outfitted with a large bathtub and separate shower. Another great feature of this home is the RV hookup! If you have visitors traveling in a motorhome, you will be able to accommodate them at the RV hookup on the property. The backyard is well landscaped with Palos Verdes Trees, Elephant Plants, Bougainvillea, Desert Cacti, and Ladrillo Brick walking paths. Here you can take in the mountain views or ascend the stairs to the tiled rooftop deck. Fully Furnished and Now Priced at $199,000, don't wait to take advantage of the opportunity to live in one of the most prestigious areas of El Dorado Ranch providing oversized lots on cul-de-sacs with expansive greenbelts to offer superior Sea of Cortez views while only a short distance to the amenities offered at El Dorado Ranch: Lap pool, Activity Pool, Hot Tub, Yoga and Dance Classes, Tennis Courts, and Saturday Swap Meet!